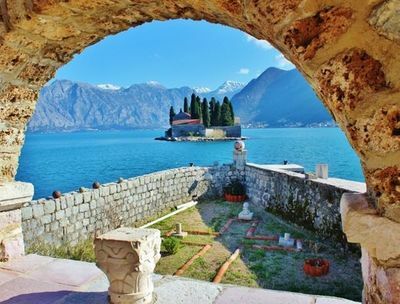 Montenegro to experience the charm of its mountainous villages and towns. 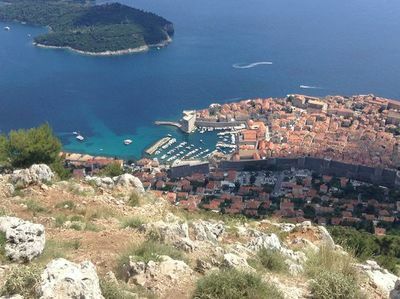 Discover old Dubrovnik on foot with our local guide. Raft down a beautiful river in the interior. Visit a private island and enjoy the local oysters. dine with a panoramic view of the Dalmatian coast. ​medieval towns and with plenty of time for swimming and relaxing too! Day 1 We will meet you at Dubrovnik airport. Our minibus will drop us off at our accommodation. You are welcome to join us for dinner or you may want to get unpacked and have an early night prior to our week of adventure. 10:00 After a leisurely breakfast we will be picked up in a private tour bus and enjoy a panoramic drive to the Dubrovnik bridge, mount Srđ and descend to the Old town for a guided sightseeing walk around the Unesco listed old town of Dubrovnik (walking tour lasts approx. 1.5hr). We then have some free time for browsing and lunch in one of the many cafes within the walled town. You may also want to sample one of the local beaches for a swim. 16:00 transfer back to our accommodation. 06:00 we will be picked up for an early start today. We travel from the Adriatic coast into the scenic interior. Densely forested Balkan Mountains shelter clear glacial lakes and deep river canyons. 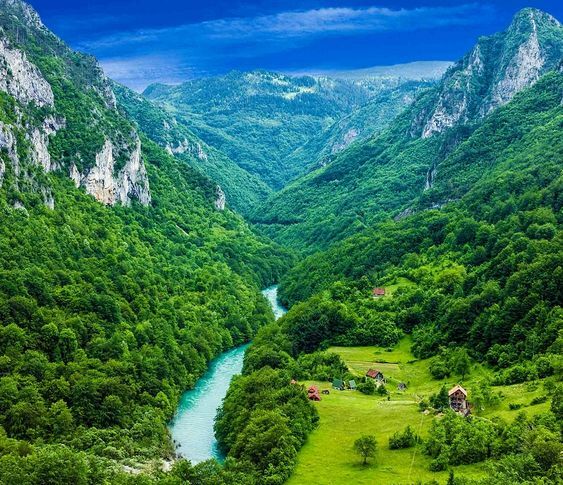 The Tara River canyon, at 1,330m deep is the longest and deepest gorge in Europe. On arrival we will be served a local, delicious and abundant breakfast at our start point. Afterwards we meet with the instructors for choosing our equipment and for our rafting instructions. During our river rafting adventure we will see beautiful canyons, waterfalls and natural springs. There will be plenty of breaks for taking photos and swimming. When we arrive at our finishing point in the afternoon, hot showers are provided and a traditional Croatian lunch will be served. We depart for our return to Dubrovnik mid to late afternoon. A day of relaxation today to enjoy the company of your new found friends. Plenty of time for reading, swimming and shopping. 9:00 After a short drive we will arrive at Herceg Novi. This pretty town stands at the entrance to the spectacular Bay of Kotor. It is a place of bright flower bouquets, sparkling seas and almost-constant sunshine! We have 30min break here for a coffee or exploring. 10:30 We arrive at Perast and take a boat out to the island of Our Lady of the Rocks – stunning views and an interesting 17th Century church. 12:00 We arrive in the very atmospheric and charming town of Kotor where the local guide will take you on a 45min walking tour. After the tour we have 2hrs free time to explore some more and try some local cuisine. 12:00 We drive to the winery Miloš (one of the best wineries in Croatia), where we will sample some of their delicious wines. 9:00 If you choose to go sea kayaking (at own cost Euros €65pp) you will be picked up at our accommodation. 9:30 the beginning of the sea kayaking, duration approx. 3hrs. Flexible transfer back to the hotel or you have the option to stay at the beach and make your own way back to the villa later. 17.00 We will be picked up for our transfer to the old harbour where we board a sailing boat and enjoy a fabulous sunset sail around the harbour and offshore islands around Dubrovnik. The sail lasts approx. 2.5hr. Buffet dinner is served on board. ​After a farewell breakfast we say our goodbyes to our guide and our new friends. Transfer to the airport.